Finally, the barrier of scoring a double century in list A cricket was overhauled by Karnaveer Kaushal of Uttarakhand against Sikkim on a batting friendly day. Karnaveer and his opening partner Vineet Saxena were all over the Sikkim bowlers as they surpassed another record-breaking opening stand of 296 runs in 254 balls. Vineet got out for an exact 100. 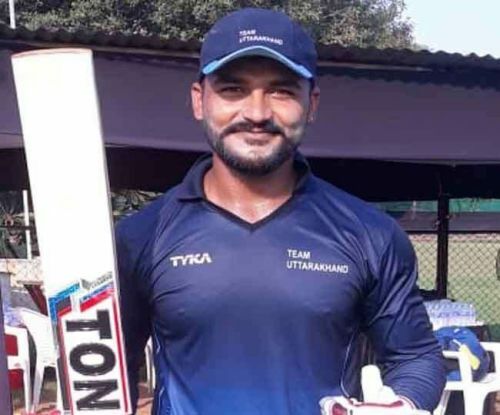 However, Karnaveer carried the momentum which was built initially and scored a delightful double century as he managed to score 202 runs from 135 balls with 18 fours and 9 huge sixes, Uttarakhand registered 366 runs for the loss of 2 wickets in 50 overs. Chasing the mammoth total of 366, Sikkim could only manage to score 167 runs for the loss of 6 wickets in 50 overs. It seemed like they had given up the fight even before they could start their batting. This beautiful innings from Karnaveer has to be on top of the best knocks in Vijay Hazare history books as it consisted of patience, dedication, and dominance.